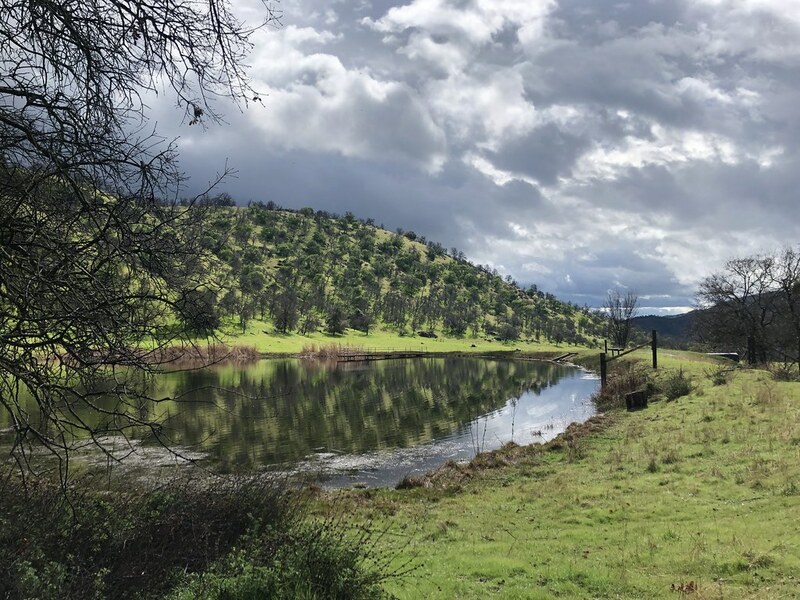 For two of the last three weekends I went down to Tulare County with @kueda and @robberfly to check out some properties owned by Sequoia Riverlands Trust (SRT), including Blue Oak Ranch Preserve, pictured above. Sam Weiser (@sweiser), SRT's Education Coordinator, is the one who reached out and told us they were wanting to use iNaturalist more extensively on their properties and in my personal opinion they're doing an excellent job with outreach and education, we had a lot of fun. Other iNat users I met were @jvaughn2000 and @nancyb, and I'm sure I'm missing some others. It was really a great community. Sam mentioned that SRT would like to really get an idea of what's living on their properties, so I'm just tagging a few iNat friends who might want to take a trip out to the Central Valley and the foothills to check out these places. A few are open to the public, but others are only open for special occasions. There will be a wildflower event at Blue Oak on April 6th and from what Ken-ichi and I saw plenty of plants were sprouting so I'm thinking it will be a good show. I'd love to go but have a previous engagement, alas. I should also note I'm writing this from a personal perspective and not as a representative of iNaturalist. @catchang @gyrrlfalcon @dpom @rjadams55 @ang @sea-kangaroo @accordiongordon @leptonia @damontighe @eddiebug @flygrl67 @hfabian @merav and I'm sure I'm forgetting many others. Just wanted to share a video I (finally) made of the iNat meet-up in southwestern Texas from this past April. It was a lot of fun, and putting this together brought back some great memories. For a platform which is supposed to be about animals, plants, fungi, and slime molds, one tends to meet a lot of great people here as well. Southwest Texas iNat-a-Thon 2018 from iNaturalist on Vimeo. Just wanted to thank @leptonia for being an enthusiastic teacher and subject for a new video I made to help folks find and identify mushrooms. It's totally inspired my recent rash of mushroom observations. Just wanted to share a video I made for iNat to help get folks interested in iNat and the upcoming National Parks BioBlitz. @danielled83 is in it and look for a cameo from @robberfly! Some footage in the "grid" section was shot by Winn Brewer of Nat Geo. Observe Nature with iNaturalist from iNaturalist on Vimeo. As many are aware, iNaturalist is not only a great resource for animals, plants, fungi, and other non-human life, it's an awesome way to meet other nature nerds, and I had the pleasure of birding at four different spots around San Francisco by with Liam O'Brien ( @robberfly ) and Donna Pomeroy ( @dpom ), both folks who I've met through iNaturalist. Liam and I relied on Donna's bird expertise to find two lifers, Barrow's Goldeneye and Cackling Goose (in this case an Aleutian Cackling Goose), and saw some amazing raptor action at Arrowhead Marsh, where two Peregrine Falcons and a Northern Harrier were hunting. One Peregrine was successful, hopefully Donna and Liam got some decent pictures of the whole thing. Here are Donna and Liam at Oakland's Middle Harbor Shoreline Park. 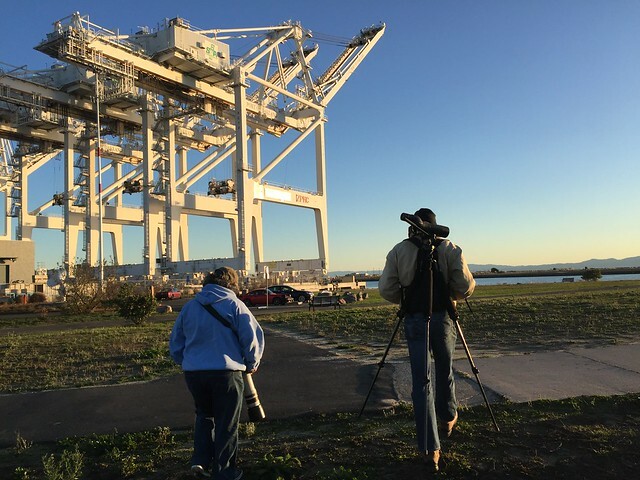 The impetus for this trek around the bay was the East Bay iNaturalist Happy Hour organized by Ken-ichi Ueda ( @kueda ). Discussing awesomely nerdy topics, such as gulls vs galls, over some beers, was a lot of fun, and I am guessing is unprecedented in a bar setting. 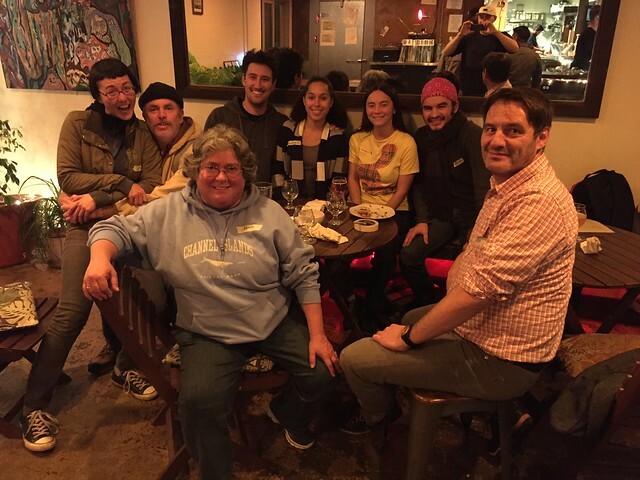 If you'd like to organize and iNat Happy Hour in your area, go for it! Back row from left to right: @constance, @robberfly, @tiwane, @danielled83, @sea-kangaroo, @kueda. Front row from left to right: @dpom and @folini. Other iNatters came after this photo was taken, so feel free to add them in the comments.